Word processors for mac are either too simple and are too complicated or heavy, lighter one being the Textedit and heavy being the Microsoft word if you have the MS office installed in your mac. 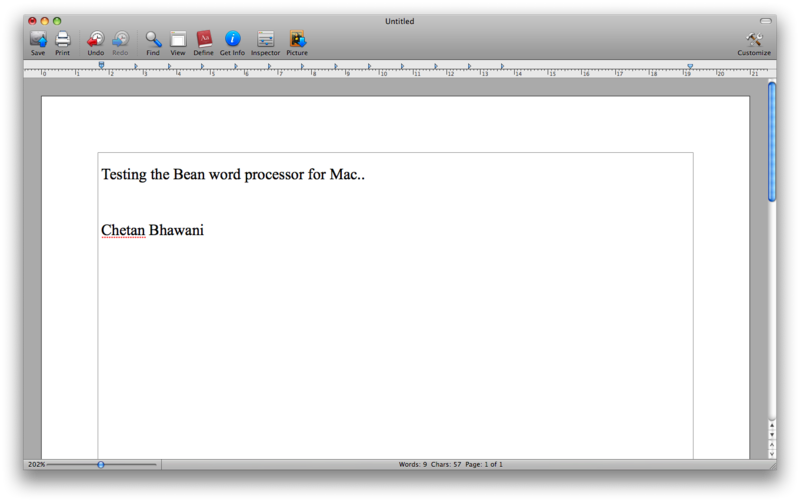 But if you want a lighter, easy-to-use word processor or text editor with good features that can sometimes reach what you need, and feel that MS Word or Openoffice is too much for your need, here is Bean application for mac. 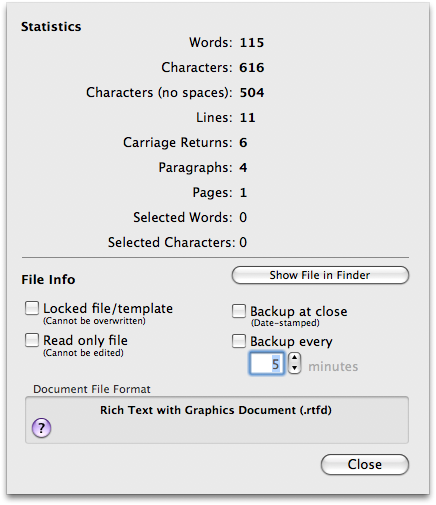 Get info panel – Helps you find the statistics of the content written in the document, no. of words, characters (with or without spaces), lines, paragraphs, pages etc. Also you can lock the file, or make it just readable, backup the file automatically for specific time interval set. Inspector panel – Font, style, size, colors, alignment, spacing of the lines, characters, before and after paragraph spacing, and other settings can be done from the inspector panel. Live word, character and page count in the bottom status bar of the app. Auto-saving – Your accidental closing of the app, or any other error can be rectified with an auto-saved copy. Options to use alternate colors, floating windows (just like the stickies quick note default app for mac), and dictionary and word completion etc. features. Insert pictures into the document, and resize it with the percentage changes after you double click the picture, and align it according to your need. You can open new document in plain text mode, rich text from pasteboard, plain text from pasteboard, according to what format you need.